Master bedroom adjoining kitchen/living with casual dining, has a king bed with ensuite spa. Second bedroom has a queen bed with ensuite spa. Air-conditioned, opening windows, fully self-contained, microwave, dishwasher, TV, DVD, Stereo, free in-room movies and WiFi. Tranquil common entry foyer includes a washer and dryer. These apartments have a daily service (not including dishes). Sleeps a maximum of 4 guests. Ocean glimpses. 3 bedrooms, 2 bathrooms including an ensuite with spa bath. Fully self-contained, all linen supplied. Will sleep up to 8. Rate quoted is for 4 guests, extra person rate $25. 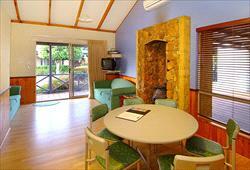 Air conditioning, barbecue, TV, DVD, CD player, stereo, free in-room movies, WiFi, parking next to villa. 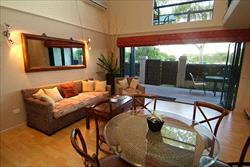 Fantastic location - 200 metres to beach, shopping, galleries, cafes. Serviced weekly. Beautifully-appointed spacious master bedroom with a king bed with desk and ensuite spa, adjoining kitchen/living with casual dining. The second bedroom has a queen bed with ensuite spa, and the third (loft) bedroom is located upstairs and has a queen and single bed, but no bathroom. This apartment is not suitable for small children. Air-conditioned, fully self-contained, microwave, dishwasher, TV, DVD, stereo, free in-room movies & WiFi.Tranquil common entry foyer includes a washer and dryer. The apartment offers a daily service (not including dishes). All 3 bedroom apartments are located on the first level with stair access only. Will sleep 7 guests. Extra person rate $25 per person per night. Beautifully-appointed queen room with ensuite spa, tea and coffee-making facilities, mini-bar refrigerator, TV, free in-room movies, WiFi, air conditioning and opening windows Adjoining tranquil entrance foyer with water feature, hidden laundry with washer/dryer. Serviced daily. 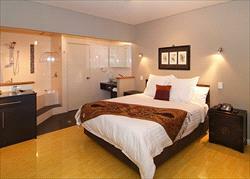 Beautifully-appointed king bedded room with ensuite spa, and adjoining full kitchen/living. External tranquil entrance foyer with water feature, hidden laundry with washer/dryer. 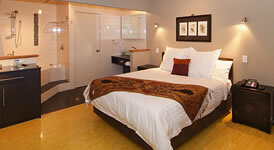 Secure, air conditioning ,opening windows, free in-room movies & WiFi, DVD, CD, stereo. 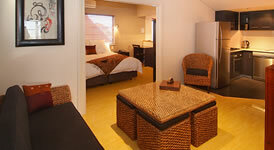 200 metres to beach, town centre shopping, arts, crafts, galleries and cafes. Day spa, pool, restaurant on-site. Serviced daily. Two bedrooms including loft; master with queen bed, open loft bedroom with four single beds (some have 1 queen and 2 singles). Fully self-contained. Full kitchen facilities, reverse cycle air conditioning, opening windows. 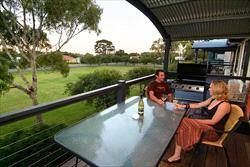 Verandah, barbecue, under cover parking next to unit. Possible to sleep up to six. Rate quoted is for 2 guests, extra person/child rate $25. TV/DVD, free in-room movies & WiFi. Serviced weekly. Two bedroom; master with queen bed, second bedroom has two sets of bunk beds. Fully self-contained. Full kitchen facilities, reverse cycle air conditioning, opening windows, under cover parking next to cottage. TV/DVD, free in-room movies & WiFi. Sleeps up to six. Rate quoted is for 2 guests, extra person.child rate $25. Serviced weekly. 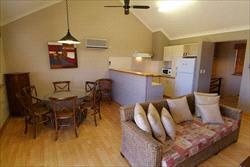 2 minutes walk to beach, (dont forget your beach towels), shops. Day spa, pool, restaurant/bar on-site. 3 queen bedrooms all with ensuite spas, flat screen TVs. Additional bathroom with shower only. Day bed, queen sofa bed. 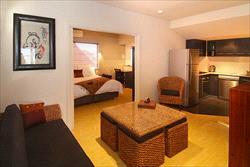 Lounge/living area with large flat screen TV, hifi, DVD, free in-room movies & WiFi. Fully self-contained, including linen, washer, dryer, dishwasher, reverse cycle air conditioning, opening windows, gas barbecue and balcony. Serviced weekly. Day spa, restaurant, pool on-site. Dont forget the beach towels! Deluxe retreat offers balcony, barbecue, beautifully-appointed upstairs master bedroom with queen bed and ensuite spa bathroom. A daybed upstairs is suitable for a third person and several of the retreats also offer a queen sofa bed downstairs. No daily service unless requested - charges will apply. Full kitchen, including dishwasher; laundry TV, DVD, CD, stereo, in-room movies & WiFi. 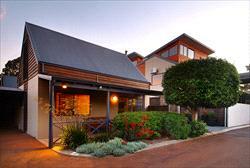 2 minutes walk to cafes, beach, (dont forget the beach towels), shopping, galleries. Rate quoted is for 2 guests only.